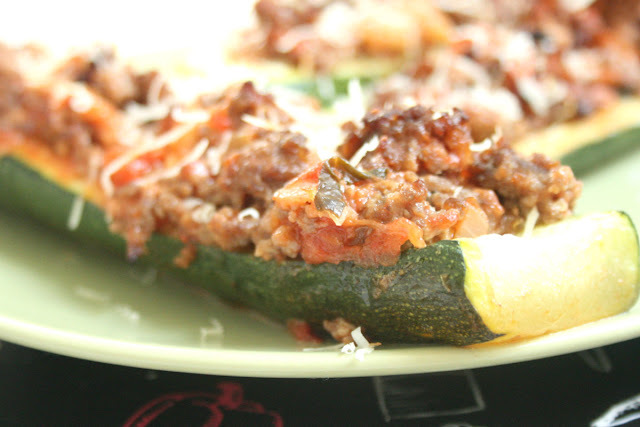 Wash the zucchini, cut lengthwise in half and with a small spoon scoop out the soft part (save it). Salt them and cut a small stripe on the back of every half so it can stand firmly. Finely chop the onion and fry in two tablespoons of olive oil. When slightly soft, add chopped fresh tomatoes (if you add the canned tomatoes, skip this, you will add them later). Cook for 2-3 minutes, then add the meat. Season with salt and pepper, stir and cook until the meat changes color - about 5 minutes. Then add the middle of the zucchini and tomato puree (or chopped canned tomatoes) and a teaspoon of dried or a few leaves of fresh basil. Simmer for 10 minutes and taste whether it's seasoned properly. Preheat the oven to 200 ° C, and line the pan or ovenproof dish with baking paper (instead you can coat it with oil). 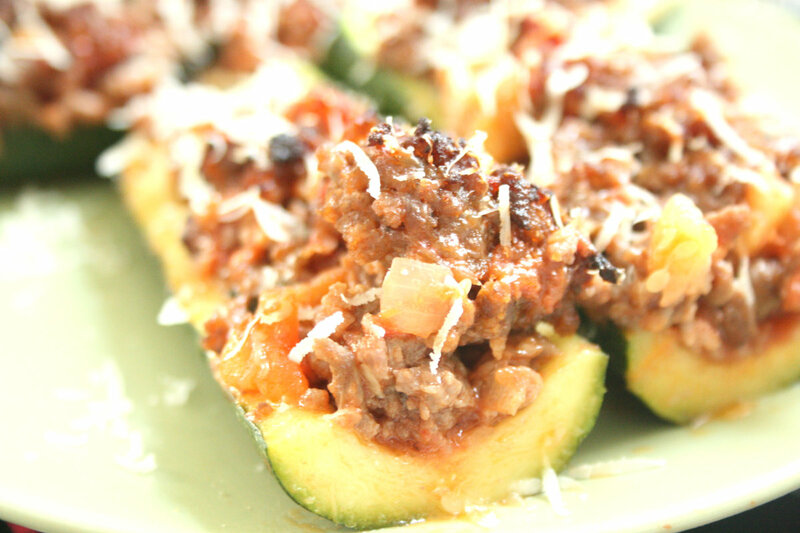 In each zucchini half put 2-3 spoons of stuffing and a few cubes of sliced ​​mozzarella. At the top of each stuffed zucchini put 2-3 sheets of butter. 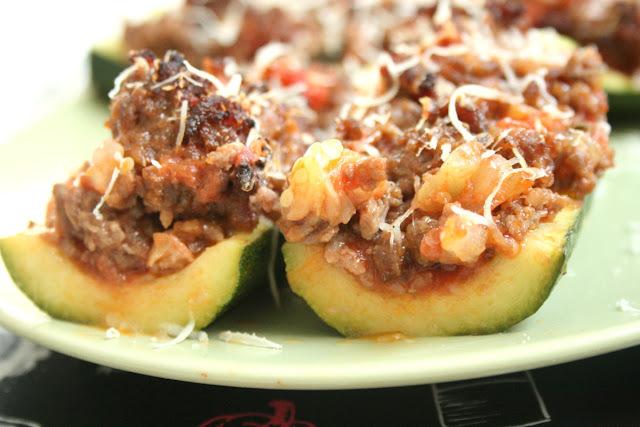 Bake for 20-25 minutes, until the meat colors (but not black :)) and the zucchini are tender. Enjoy it!